Epic Games has announced that the final stage of the Fortnite Summer Skirmish will be held at PAX West 2018 complete with a $1.5 million prize pool. Fortnite fans already know that the game has been playing host to an eight-week tournament known as the Summer Skirmish, the likes of which is soon to reach its grand finale. Following up on the Twitch Rivals x Fortnite Summer Skirmish promotion from the last two weeks, the final stage of the skirmish is set to kick off at PAX West 2018 starting on Friday, and competitors will be duking it out for a piece of the final $1.5 million dollar prize pool. According to a post made on the Epic Games website, the final stage of the Fortnite Summer Skirmish will take place on-site through dedicated gaming PCs. 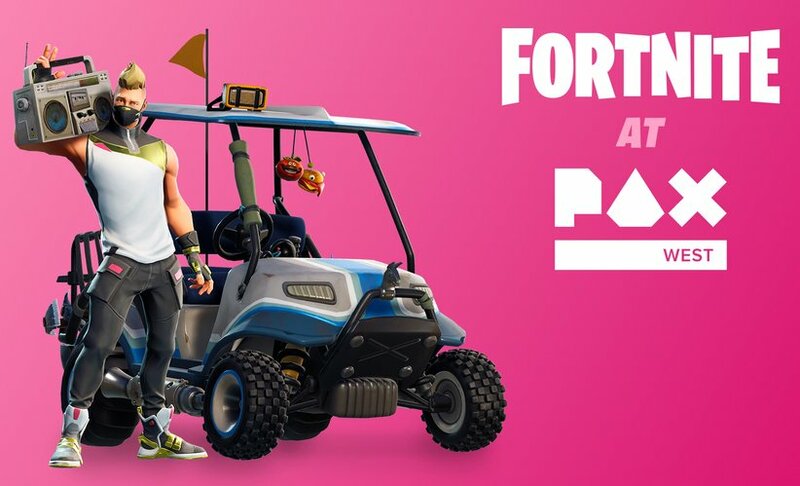 Participants must have a valid ID as well as a valid PAX Badge for the day, be 16 years of age or older, and agree to the Summer Skirmish Event Rules and Code of Conduct. When the skirmish has concluded, the top players will be rewarded varying amounts of cash, with the top spot earning $225,000 while lower positions earn $5,000 each. In addition, Epic Games will tack on an extra $25,000 for any player that manages to earn a Victory Royale during stage three of the event. Stage one heats begin on Friday, August 31, with two more to run all the way through Sunday, September 2. The top 32 players at the end of each heat will move on to the that day's stage two Nightly Qualifier. After that, the top 33 players of each Nightly Qualifier will advance to the Stage Three Grand Final to be hold on Monday, September 3. Epic Games assures fans that won't be able to make it to PAX West 2018 that they'll still be able to catch the action online, likely through the official Epic Games website or through Fortnite on Twitch.